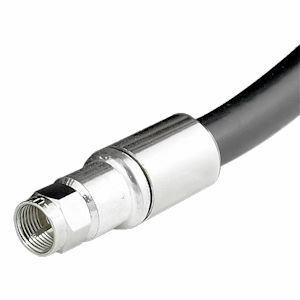 We carry Wilson Electronics’ line of RG11 coax cable, precut to various lengths and terminated with F‑male connectors for easy installation. RG11 is compatible with systems that use RG6 coax cable, but it has nearly half the signal loss per foot of RG6, making it the best choice for long runs of cable. RG11, however, costs more per foot and is less flexible than RG6, and is therefore not as ideal for bending or running around corners. RG11 is compatible with 75‑ohm systems and components. It is most often used with WilsonPro 75‑ohm commercial systems, but may also be used with weBoost Connect 4G and Home 4G residential systems. Please contact us if you have any questions, and we’ll be glad to assist you in finding the right cable for your installation needs.